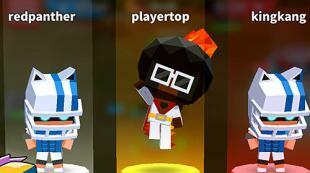 Like squad: Battle arena - control a funny character on different arenas. Destroy enemy turrets and apply various weapons in the battles. 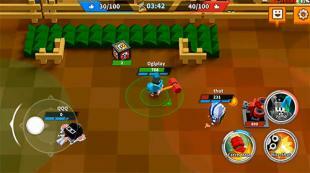 Get ready for exciting battles on the arenas of this merry Android game. Defend your base from enemies, combine various weapons and characters to make use of their abilities at full. Buy beautiful suits which will make your hero unique. 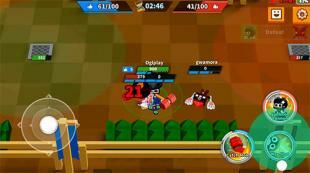 Team up with friends and defeat teams of other players from all over the world. Raise your rating and become a champion.